Marjorie Hensel serves on the Firm’s Board of Directors, and is also the Practice Group Leader for the Professional Liability Group at Bush Ross. She focuses her practice primarily in the area of professional liability defense representing lawyers and law firms, accountants, architects, surveyors, engineers, insurance brokers and agents, real estate agents, travel agents, tattoo artists and cosmeticians. 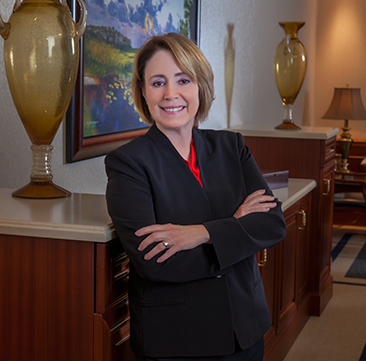 Ms. Hensel has a broad litigation background in both defense and plaintiff litigation. Her ability to see a case from both sides is an asset she brings to the defense of her clients at trial. Ms. Hensel joined Bush Ross in July, 2016. Previously she was a Partner with Hinshaw & Culbertson and a Shareholder with Marshall, Dennehey Warner Coleman & Goggin, in Tampa, Florida. Ms. Hensel is a 2005 graduate of the I.A.D.C. Trial College, which is held annually at Stanford University College of Law. Represented veterinarians before the Department of Business and Professional Regulation. Tried a case defending a Real Estate broker and obtained a defense verdict. Tried a legal malpractice case where obtained a directed verdict for one defendant and a defense verdict for the remaining defendants and the firm. Defendant granted motion for summary judgment in legal malpractice action on statute of limitations and discovery rule. Obtained dismissal for shareholders of law firm in AAA arbitration dispute. Represented a national grocery store chain in class action lawsuit filed in U.S. district court alleging violation of FACTA. Obtained dismissal for a foreign machinery manufacturer in products liability action on the basis of forum non conveniens. Defendant granted summary judgment in products liability action on basis that exercise equipment was not defectively designed. Defended securities brokers in class action involving mortgage backed securities. Defended accountant/financial planner in class action case where plaintiffs claimed the products sold were unsuitable. Defended officers and directors of a national racing boat organization in multi-state litigation. Defended class action against travel agent/planning company in U.S. District Court, Middle District of Florida. Ms. Hensel enjoys hiking, gardening and theatre. She and her family support the arts in the Tampa Bay area.